Winks Casino was only established back in 2016, however they have already managed to make a significant impact in the online industry. 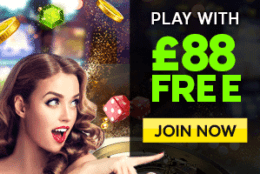 With Winks being part of the 888 family, it perhaps comes as little surprise that they offer a large number of casino games, as well as generous promotions for both new and existing punters. 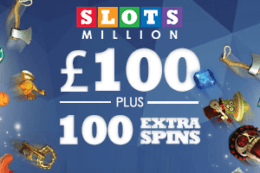 At present, those in the UK are able to earn themselves 30 free spins, with no deposit required. For those interested in this promotion from Winks, let’s take a closer look both how to claim it and the terms and conditions surrounding it. Free spins available for 7 days. Bonus wins capped at £100. Wager requirements x30 before withdrawals can be made. Register a new account at Winks Casino via desktop or mobile. 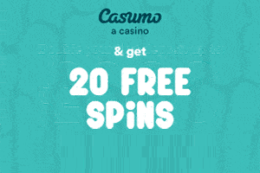 Receive your 30 free spins without even making an opening deposit. A player is only entitled to participate in this Promotion once. Each Free Spins voucher will be available for use for 7 days after registration. Any unused Free Spins will be removed from your account thereafter. 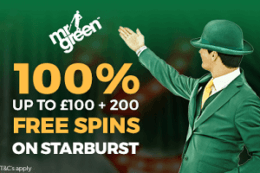 Free Spins winnings are set at minimum of £1 in instant games bonus funds for each Free Spins voucher and are capped at a maximum winning amount of £4 for each Free Spins voucher. In order to withdraw instant games bonus funds and any winnings connected with those instant games bonus funds, you must wager 30x the amount of the instant games bonus funds. No deposit required means that customers can gain an understanding of Winks Casino’s platform before using their own cash. 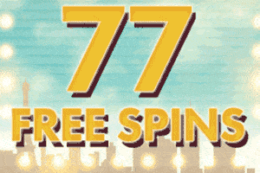 Only 7 days in which to use free spins and reach wagering requirements. X30 wagering requirements make withdrawals more unrealistic. 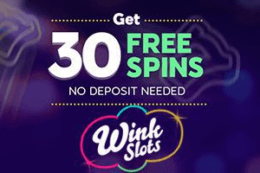 The no deposit welcome offer from Winks Casino is certain to attract a large number of punters, with the prize of 30 free spins upon registering allowing for some significant potential winnings. 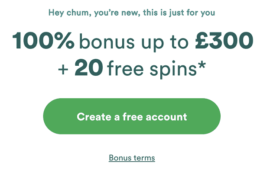 The fact that free spins can be used on three separate games on their site means that customers can get a better understanding of what Winks has to offer, with wagering requirements of x30 unlikely to put users off taking advantage of this promotion. Is a promo code required at Winks Casino? No. Customers must simply register a new account at Winks Casino in order to claim their 30 free spins. Yes, free spins must be wagered at least 30 times before withdrawals can be made.